Fill downtime in your school with a high quality program in the largest and fastest growing market for martial arts - children! PLUS: Turn-key materials provide a class plan that can be implemented in under 30 minutes! Each week’s videos broken down step-by-step from founder, Melody Shuman, and her SKILLZ staff. 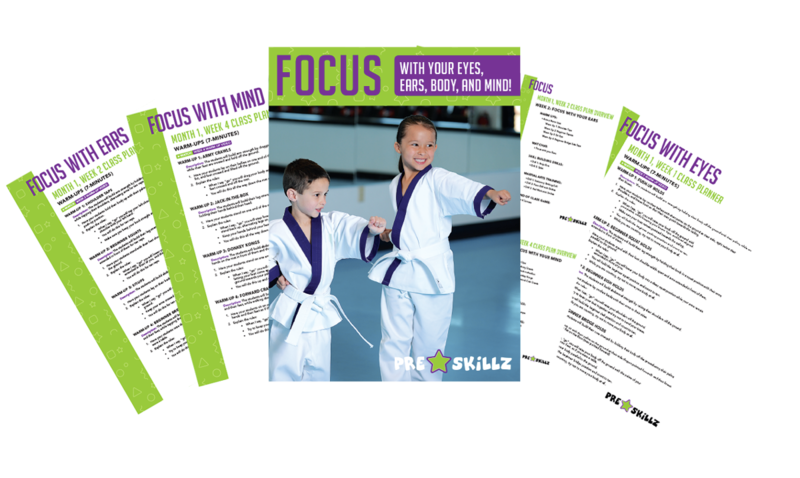 PreSKILLZ weekly planners and monthly overviews so you have a clear guide of what you are teaching every week. Editable parent newsletters to communicate with the parents what you are teaching and the life skill covered. Editable homework assignments to give to the parents so they can work at home with their kids and see the value of the program. Professionally designed advertising material so you can raise awareness about your new program and generate word of mouth. Any school owner that wants to offer a program specifically designed for children aged 3-6. Any school owner that wants a done-for-you kids curriculum so you don’t have to re-invent the wheel. Any school owner that isn’t sure where to start when it comes to teaching the young ones. School owners that want to empower or add staff to lead a program for younger students. Weekly class planner series details each class. Gather equipment and materials for the week. Print and distribute newsletters and homework. Make every class a great class with age-appropriate drills, games, and life-lessons! You have nothing to worry about. We offer full refunds up to 30 days after purchase. The limits are lifted because your class will play in any modern browser anywhere. © 2019 Copyright MAIA LLC. All rights reserved. 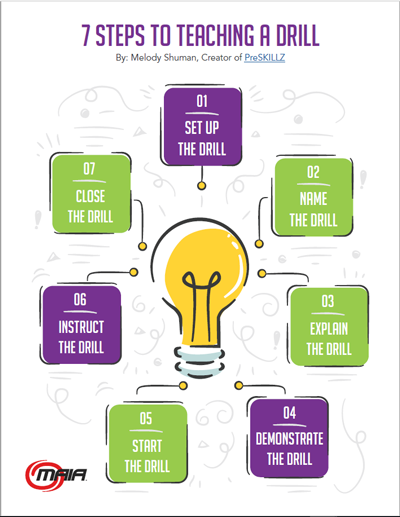 Fill in your information below and we'll get you set up with the 7 Steps to Teaching a Drill now.